PROPERTY Holmes Park is about as central as you can get, meaning lucky residents are only minutes away from both the town centre and Horsham mainline train station. Entering Holmes Park via the sleek glass Entrance Hall, you will find access to all floors via stairs and lifts. Entering this Two Bedroom ground floor apartment you are met with a large Entrance Hall, with airing cupboard and doors leading to all rooms. The Bathroom features a modern white suite including rainfall shower and separate hand-held shower attachment over the bath. 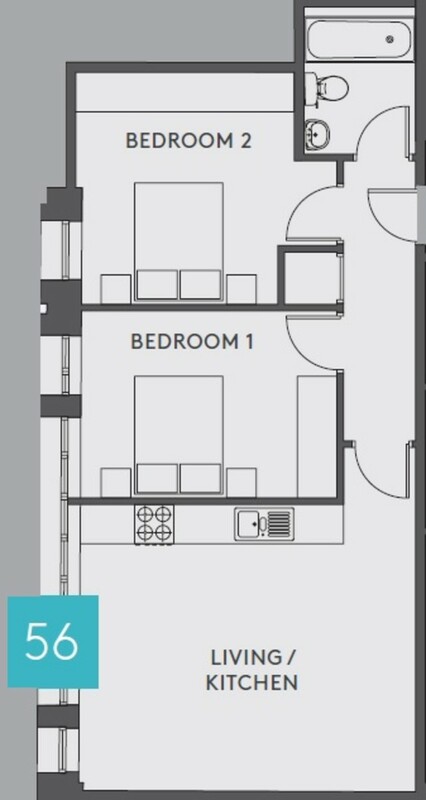 There are two bedrooms boasting huge windows bringing in lots of natural light and plenty of space for furniture. The Kitchen/Living Room is a bright and airy space offering ample space for entertaining, whilst the Kitchen boasts fully integrated appliances, including fridge/freezer, dishwasher and washer/dryer as standard. This apartment comes with secure video entry phone system, underfloor heating throughout and allocated parking. HELP TO BUY If you want to purchase a home of your own, but can’t afford to buy on the open market, Help to Buy could be your way onto the property ladder. The Government has created the Help to Buy scheme to help you take your first steps into home ownership. There are a number of Help to Buy products designed to make buying a home more affordable.